The latest edition to out 4-10 year Booster Range! 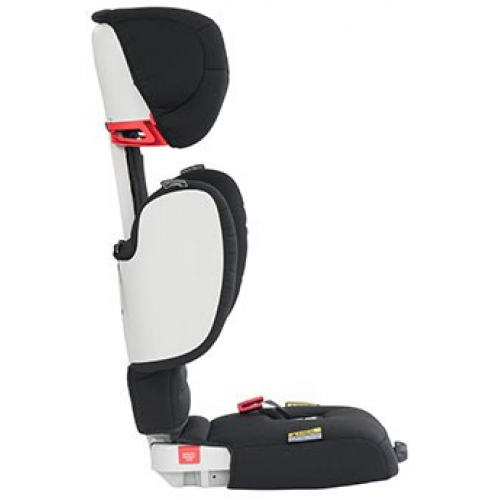 The Britax Kid Guard provides continued safety from first booster use until your child is approx. 135cm in total height - 4 years to 10 years of age (approx.) or when shoulders meet the maximum height markers. 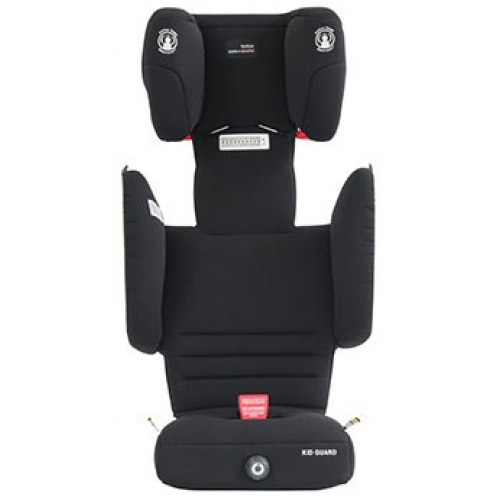 With its expandable lower side wings, extendable seat base, Active Head Restraint (AHR) and 9 points adjustable headrest, the Kid Guard grows with your child delivering comfort and safety on the move. Easily accommodates three seats across the back. 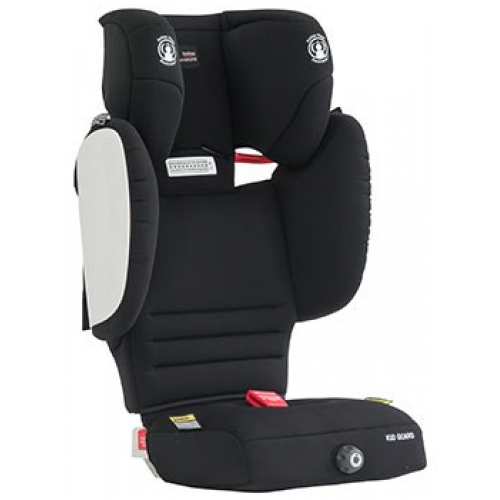 The Kid Guard Range is the only Booster seat range of its kind tested for use up to ten years! The SecureGuard™ Anti-Submarining Device adds a 4th contact point to the standard 3-point adult vehicle seat belt. 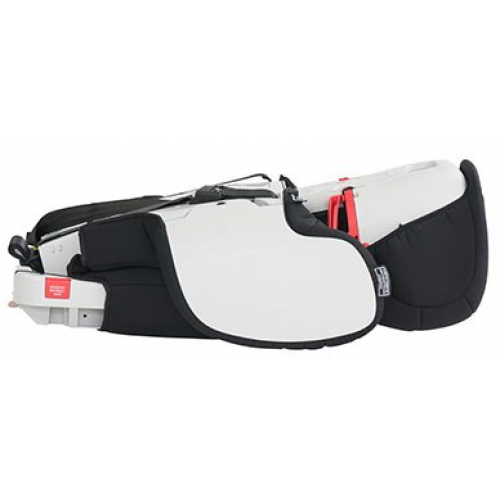 The additional 4th attachment point on the Kid Guard™ helps to keep the adult lap belt in an ideal position from shoulder to pelvic bones. With expandable side wings, extendable seat base and 9 points adjustable headrest, the Kid Guard™easily transforms to grow with your child. Lower Height Marker: 380mm approx. Upper Height Marker: 542mm approx. 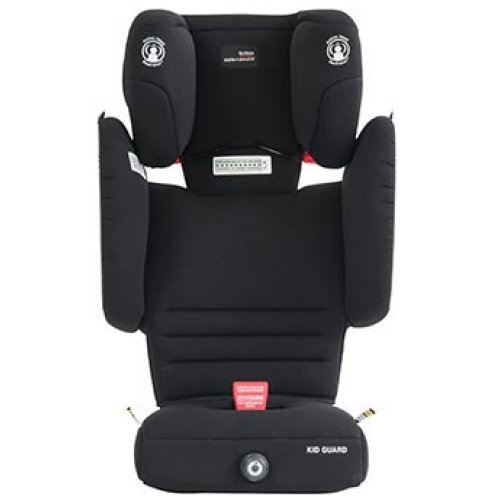 Minimum Height: Your child can use the Kid Guard™ once their shoulders are in-line with the lower shoulder height marker with the headrest in the lowest position. If below the lower shoulder height marker your child is too small for the Kid Guard™ and should remain in a restraint with an in-built harness. Maximum Height: Your child can continue to use the Kid Guard™ until their shoulder’s reach the upper shoulder height marker with the headrest fully raised. The upper shoulder height marker position represents 95% of 10 year old children and in fact it can accommodate up to 50% of 12 year olds.